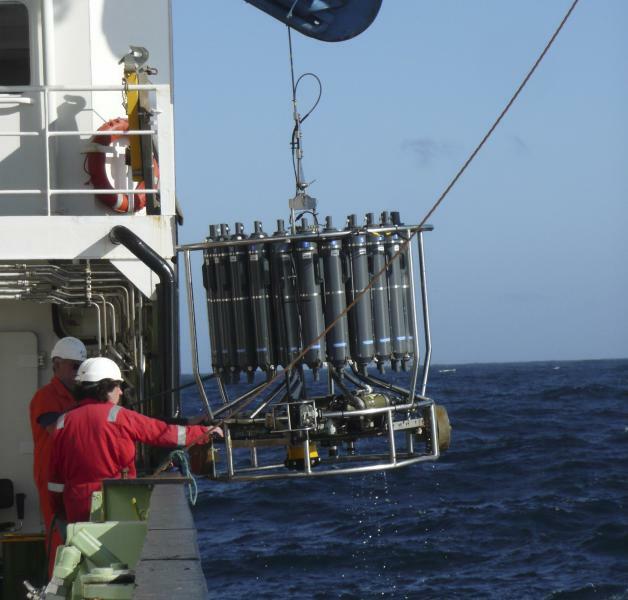 The essential core data collected by the ship-based programme are temperature, salinity, nutrients, oxygen and water velocity at the 50 full-depth stations of the section. These data are collected to the highest international standards, having skillfully applied calibrations and being fully documented. Underway measurements are collected, including surface temperature and salinity, meteorological variables, bathymetry and shallow water velocity. Many contemporary occupations of the section also include biological or biogeochemical measurements including chlorophyll, phytoplankton species, iron, carbon, trace metals and CFCs. 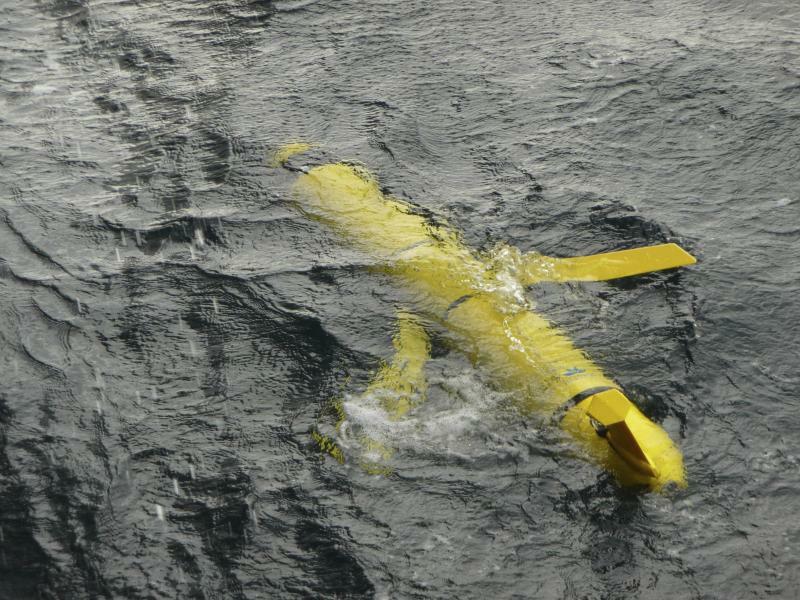 Floats and gliders collect a great quantity of temperature and salinity over a wide region, and are particularly useful for gathering data in the winter when research ships cannot work. They typically provide data in the upper 2000m, though new deeper floats and gliders are under development. All data from the Extended Ellett Line programme are available from the British Oceanographic Data Centre. The table of Individual Sections provides a link to the BODC page for each cruise, as well as a figure showing temperature, salinity and density sections. Over the years the weather in the Rockall Trough has gained a fearsome reputation amongst the oceanographic community. Many of the planned expeditions to the region have been interrupted by big storms with high winds and high seas. To the scientists the bad weather results in a very interesting phenomenon; stirring of the ocean by the wind to depths rarely seen across the globe. It is this stirring action that releases heat from the ocean depths to the atmosphere above, keeping the UK climate relatively mild. David Ellett was among the first to recognise the importance to the UK of our local oceanic "radiator". In February 2000, scientists on RRS Discovery encountered giant waves nearly 30m high in the Rockall Trough. Life on board became very difficult as the ship rolled as much as 30 degrees in the stormy seas (the photo shows a roll of nearly 20°). A study concluded that the monster waves were probably caused by resonant conditions, whereby a weather front moved at the same speed as the wave group for a long enough period for a fully developed sea to evolve (Holliday et al., 2006). The significant wave height of 18.5m (representing the height of the waves over 30 minutes) was the largest ever measured in the ocean, and the individual wave height of 29.1m was similar to those that have been observed under hurricanes. Waves of over 5m are common and frequently prevent work over the side of the ship.